Don’t settle for second best when it comes to changing tyres. 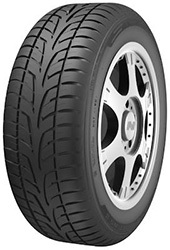 Nankang N890 tyres offer the best performance on every vehicle they are fitted to and every journey made after. With high wear resistance and excellent reliability, you can trust these options to get you to your destination every time, no matter the conditions or environment. Don’t let anything stop your journey by using the excellent performance possible from N890 tyres.